A lot of runners need running shoes optimized for stability. Runners experiencing plantar fasciitis, Achilles tendonitis, overpronation, flat feet, and other related conditions often resort for stability to provide a proper support system for their feet condition. More issues may arise if you are not using the right shoes for your feet type. This review will help you find the best stability running shoes to prevent such issues. We review 5 running shoes which will surely give the stability you deserve. Keep reading and see how they made into our list. 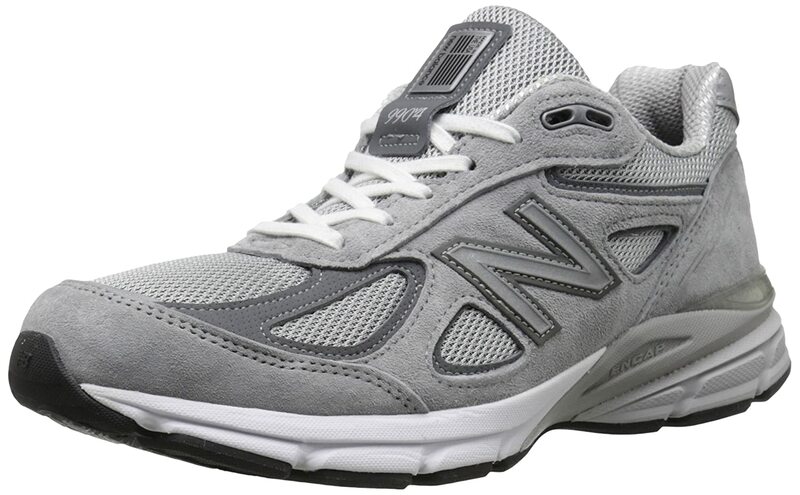 When you lack confidence running with your previous shoes, New Balance 990 v4 will elevate your running confidence. Thanks to the ENCAP technology, these running shoes will surely give you the stability you need. It is also optimized to provide the best cushioning for your feet while retaining the general stability of the platform. Some shoes do not perform well when used all day long. But these running shoes will never fail to help you run throughout the day. The extra cushioning on the midsole and the rubber material on the outsoles greatly enhances the comfort brought by these shoes. You will surely admire its great comfort on your first use since it does not require a little break-in period. Though a few addition of weight is needed to achieve such great comfort, it won’t be bothersome at all. As mentioned a while ago, these running shoes provide the best cushioning. Also, it performs well when absorbing shocks. When these two characteristics combine, it reduces pressure on your upper legs and knees when running. Since you will run with less pressure, you can enjoy running on a higher mileage. This possibility is greatly enhanced with the New Balance’s Abzorb technology. In case you have plantar fasciitis, these running shoes will help you as well. The cushioning and shock absorption of these shoes makes it possible to distribute your weight properly on every part of your feet. Forefoot movement and foot support are sometimes contradicting for other shoe manufacturers. Fortunately, New Balance made a good mix of these two. These running shoes excel in locking the position of your heels while allowing arch support and forefoot movement. The excellent support of the shoes further allows runners with feet problems to use these shoes with ease. These running shoes come with good durability. Thanks to the Ndurance rubber compound, it is used to enhance durability on wear-prone and tear-prone areas of the outsoles. The uppers, in general, have a strong and durable mesh and leather mixture. These running shoes are manufactured in America. It might give you a little confidence for these shoes though. If you want to max out the performance of these running shoes, you must purposely use these on hard surfaces, pavements, or concrete roads. You might want to prevent using these shoes on the woods, during the winter season, and on a rainy day where a significant decrease of durability is observed. 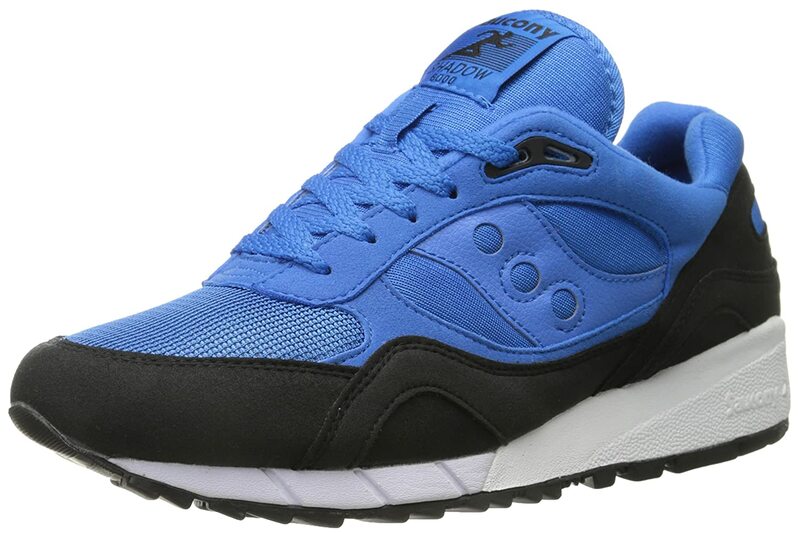 Saucony Shadow 6000 comes with a right design of stability and flexibility. Generally, its stiff platform gives way to a high level of stability. The heel section of the shoes is also stable enough to keep your balance. The forefoot section of the shoes is somehow flexible. These characteristics appeal to most of the runners and will surely appeal to you. When you wear these shoes for the first time, you will delight on the comfort it brings to your feet. This is made possible by using light and soft materials for the shoes. Since the shoes have a roomy space, you won’t likely develop blisters throughout your ride. Wearing these shoes are refreshing for your feet. Even when you go for a higher mileage, you will not be disturbed by knee pains or foot pains. Thanks to the proper cushioning and support system of the shoes. 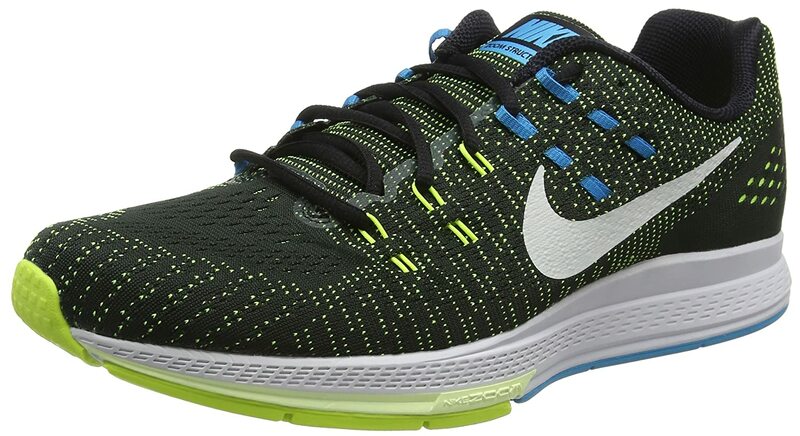 These running shoes are even more refreshing because its synthetic lining has a moisture wicking feature. Despite the intensity of your run, your feet will be kept cool and dry. The outsoles of these running shoes utilize the XT-600 rubber material with triangular lugs. This material optimizes the grip and traction offered by these shoes. It’s worth nothing these shoes perform well on road tracks whether on a dry or wet day. However, it is not particularly recommended for trail tracks. Because of the established support system of these shoes, runners with high arches, overpronation, plantar fasciitis, and other related conditions are greatly supported. If you are running on uneven surfaces, these shoes will still do well. Saucony managed to make these shoes with high durability. For the outsoles, it has a high abrasion resistant property. For the midsoles, it utilizes polyurethane material. For the uppers, it uses a combination of mesh, synthetic, and leather materials. These properties when combined results in a robust, durable, supportive, protective, and properly cushioned shoes. These running shoes are generally designed for training purposes. Yet we found out that it performs well in marathons, triathlons, and other extreme running performance. You will surely admire the versatility for the shoes. However, you need to lower your expectations on durability if you really plan to use these shoes for extreme activities. Stability is properly optimized with Adidas Adistar Boost ESM through the Torsion system and EVA (ethylene vinyl acetate) plating. The Torsion system has a thermoplastic arch support which promotes independent forefoot and rearfoot movement while continuously adapting to running surfaces. Your feet’s midfoot section will naturally adjust to the ground which results in higher support and stability needed for sports. The EVA plate brings a good deal of cushioning, support, responsiveness, and stability. These running shoes will please you when it comes to proper cushioning. The uppers of the shoes will let your feet feel a comfortable fit thanks to its TechFit technology. You will feel like the uppers are your socks since it is also expandable. It is so smooth which prevents blisters and other related pains. When it comes to breathability offered by TechFit technology, the shoes somehow lacks air ventilation. You will still feel cool and dry on a low-intensity motion and short usage, but expect hotspots throughout your run. To keep this positive, this type of breathability allows great comfort on colder days. Still, with the TechFit technology, the shoes allow an adequate flexibility. While a heel counter locks the motion of your heels, the other parts of your feet are free to move. The TechFit technology also allows your speed to increase because of its enhanced coordination with your joints. The shoes will properly support you even on your maximum speed. Adidas has always been renowned for its remarkably strong shoe. This is made possible through the use of tire-grade materials especially on the outsoles of the shoes. You can expect an intensive wear, tear, and water resistance from these shoes. Running on wet pavements will never be a problem at all. 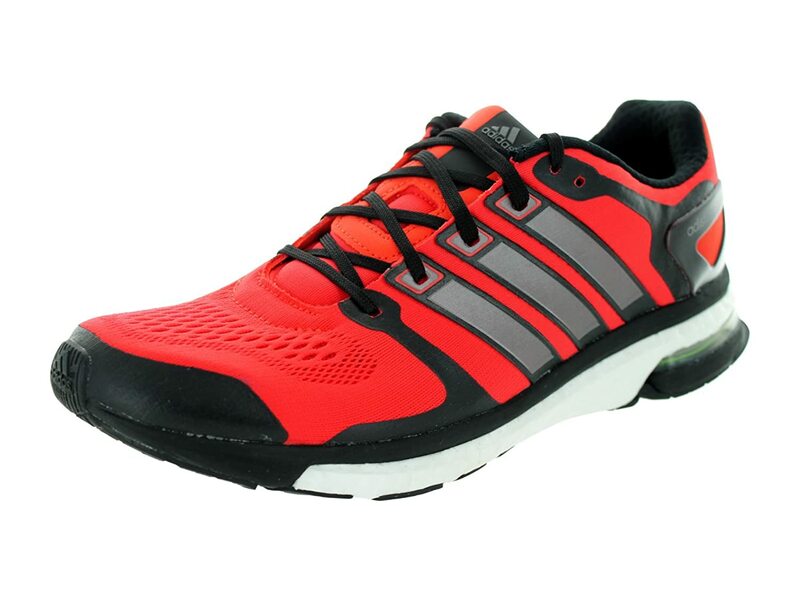 Your body will benefit from the protection and assistance provided with these running shoes. With Boost sole units, your limbs and joints are protected from impacts. The impact is further lessened on your rearfoot through the AdiPRENE technology. Again, the TechFit technology allows a higher range of motion while maintaining a comfortable gait. Nike Air Zoom Structure 19 is so efficient when it comes to stability. It is firmly constructed to optimize stability which you will surely appreciate. In case you are suffering from plantar fasciitis, extreme high arches, and other related foot conditions, these shoes will be helpful for you. These running shoes might not be too lightweight, but it assures a proper comfort and cushioning for your feet. The Flymesh uppers of the shoes significantly improve these aspects. The shoes will fit snugly on your feet giving you a sock-like feeling. While maintaining a snug fit, the shoes use a Flywire system which prevents constriction of your feet. If you prefer running without socks, these shoes will surely meet your need. Nevertheless, it is recommended to use socks for further protection. The waffle outsole feature of Nike somehow provides the efficiency of the cushions. The triple layer midsole also lets your feet feel comfortable throughout your ride. But it is the heel cushioning which greatly boosts the proper cushioning design of the shoes. It is worth nothing that the cushions are averagely equal for both forefoot and heel. It is not too hard yet not too soft. This design prevents a feeling of running on the ground and an improper springy motion. Higher mileage run may severely affect the durability of standard shoes. But Nike Air Zoom Structure 19 will surely manage the situation. It poses great durability even when you run up to 250 miles. Wears and tears are not evident when we tried this high mileage run. The durable construction of these shoes is reliable especially in the forefoot section of the outsole. The material used on the uppers of these shoes are brilliantly designed and knitted. Though the Flymesh technology is not directly advertised as a protective material, it somehow provides an adequate protection needed by your feet. The outsole made with blown rubber and the triple-layered midsole assures proper protection for your feet regardless of the terrain you’ll run on. Speaking about terrain, these shoes performs best on road tracks. It is also weatherproof and waterproof though we do not highly recommend these shoes to be used in such situations most of the time. 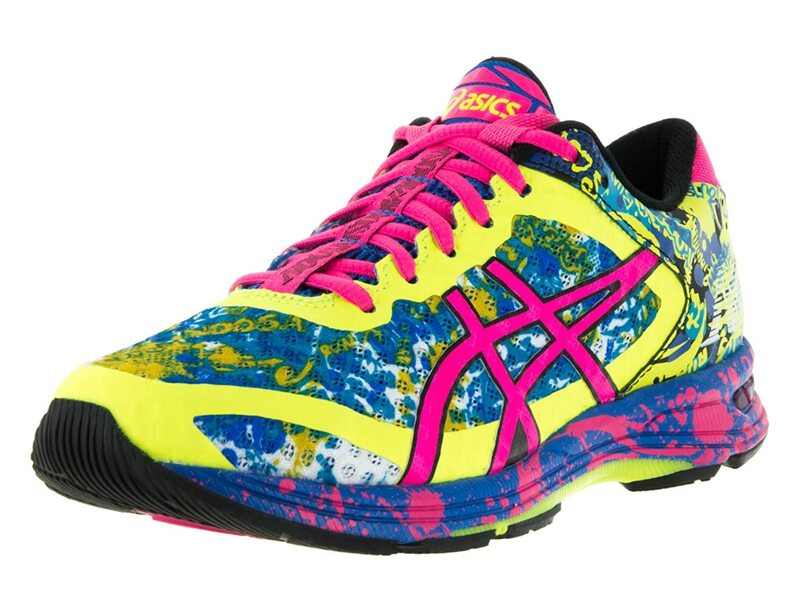 Asics Gel Noosa Tri 11 has a right mix of lightweight characteristic, stability, and support. Every technology used by Asics on these shoes seems to coordinate with each other just to provide the proper stability for your feet. In case you have overpronation, you will delight to the proper support system of these shoes. Stability is also maximized by addressing a runner’s need for gait guidance. These shoes perform well in exhibiting a good heel-to-toe transition. You will feel less worried about skin irritation, blisters, and abrasions through the seamless construction, gel cushioning, and lightweight mesh of these shoes. All of these features maximizes the comfort exerted for your feet. Even when you run without socks, you will feel less irritated. The tongue and heel section of the shoes have rubber grip tabs to keep your feet held by the shoes properly throughout your running activity. A proper support system is delivered for your feet through the DuoMax System integrated within the shoes. Regardless of the intensity of your motion, your feet will be kept stable and your body will be properly aligned. The gel cushioning further improves stability on any terrain while absorbing as many shocks as possible. These shoes will truly give you a pain-free and enjoyable ride. Breathability proves to be efficient for these shoes. The mesh material of the uppers ensures optimal wicking of moisture to keep your feet cool and dry throughout your run. It further prevents overheating especially on the heat-prone area of your feet during intense running activity. To further assist the moisture wicking property, the insoles and the sock liners are perforated to keep draining out the moisture. These running shoes also have a good mix of flexibility and stability which is a common contradiction for some shoe manufacturers. The mesh and seamless uppers primarily contribute to these characteristics. These materials further improve your running speed while keeping the shoes as lightweight as possible. It is worth to note that the Noosa series are known for a lightweight construction. If running on wet surfaces or on rains happens for you coincidentally, these running shoes will still give off its best performance. Thanks to the Wet Grip outsoles of these shoes. You can go on a higher mileage on both dry and wet roads. A lot of running shoes are categorized on the stability group. Yet you need to be extremely meticulous when choosing the right running shoes. Here’s a list of factors you might want to consider. When using regular shoes, it offers stability only for a short time. Stability is somehow perceived to decrease as you go on a higher mileage. Long-term stability is the most important aspect when looking for the right stability shoes. Though you may rely on user reviews and experiences regarding this matter, it is still you who can attest to the efficient stability provided by the shoes. Only you can say when the shoes you have used provides adequate stability on a higher mileage. We suggest sticking on stability category without minding too much flexibility. In a real application, stability and cushioning matters so much when you want to endure an intense long ride. When carefully analyzing the design aesthetics of shoes, the outsoles shows to be the most important part for providing proper stability, especially on the heel section. It is important for the shoes to have the right and proper mix of cushioning, shock absorption, and support. The heel counter enables a runner to further run on a longer distance. It is also important to note that an outsole with these characteristics works best when the uppers itself ensure a rigid a snug fit for your feet. It is worth noting that stability shoes typically offers durable construction with quality materials. Durability and stability work together despite the feature injected on the shoes. If you have running shoes tagged for “stability” yet not typically durable, it is a suspecting scenario though. Stability and flexibility are somehow contradicting for some shoe manufacturers. But it is possible to incorporate both features in one shoe. Stability is offered best when locking the heel part of your feet while still allowing movement for your forefoot. Let’s be honest on this part: you hate a sweaty uncomfortable ride. It is extremely disturbing throughout your running activity. Whether you are looking for stability shoes or another type of shoes, breathability should not be compromised from your preferences. It is always a great hobby to be somehow meticulous on choosing the shoes you prefer. Through proper guidelines and detailed review, we hope you fully understand how your running shoes must help assist your feet. Thanks for spending your time on reading this review. We hope we have helped you in choosing the best stability running shoes. We’ll be glad to hear from your by dropping your comments below.